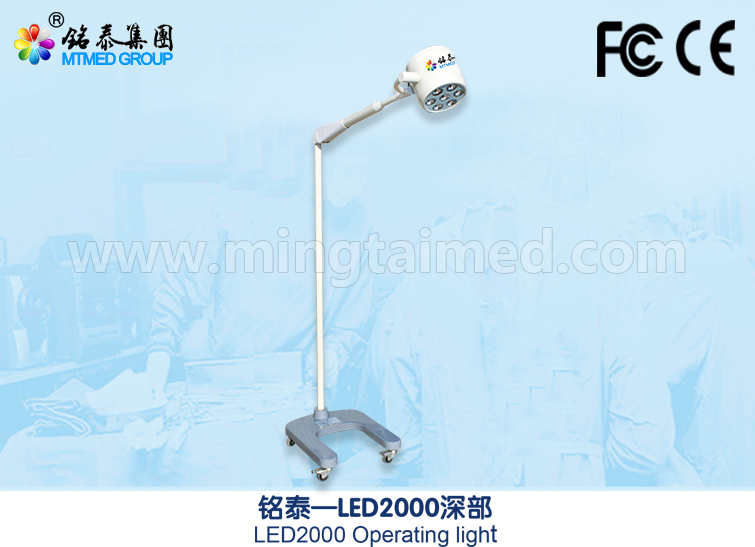 Mingtai LED2000 mobile cold light shadowless Operating Lamp equips with imported good quality LED bulb. It has 2 kinds: single model and deep model. Deep model working area is much bigger than single model. The illuminant is 40,000 Lux, spot size is 50mm. It has 7 imported LED bulbs. Each bulb lifetime is 60,000H, and each LED bulb can be changed separatedly. With the mobile design, Φ200mm large reflective masks, its lamp height and angles can be adjusted to meet the needs of any angle; its illumination can be achieved to 40000LUX. 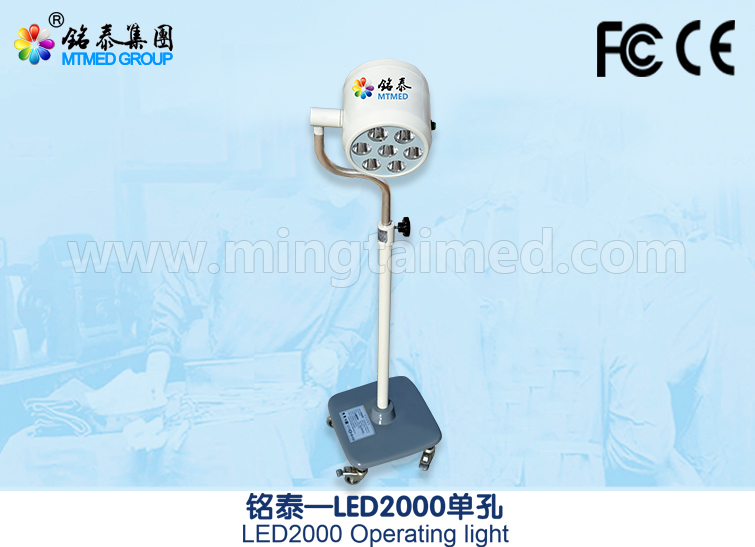 So it is ideal lighting equipment for out-patient surgery. This product has been purchased by the second hospital and top three hospital. Looking for ideal Cold Light Shadowless Operating Lamp Manufacturer & supplier ? We have a wide selection at great prices to help you get creative. All the Shadowless Operating Lamp are quality guaranteed. We are China Origin Factory of Cold Light Operating Lamp. If you have any question, please feel free to contact us.